Not too much going yet. Everything is pruned, brush mowed and ready. I have to haul firewood out of the orchard (from pruning) some early cover sprays to apply, fix a few broken sprinklers and a bit of grafting in a couple of weeks. The apricots are starting to bloom, its early. Fruit tree flowers are temperature sensitive, below 30 degrees F they’re prone to the blossoms being killed and loss of potential fruit. 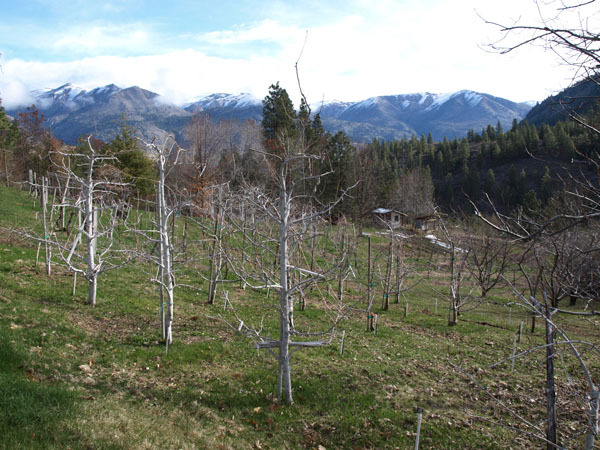 April is always a stressful month for orchardists worrying about nighttime temperatures. We can also worry about daytime temps, too cool or windy for bees to get out (for pollination) or rainy which helps spread diseases while the trees are blooming. Good luck!